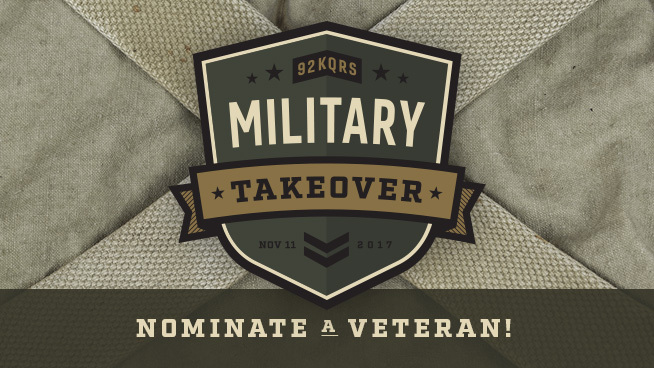 Nominate a Veteran for KQ's Military Takeover! 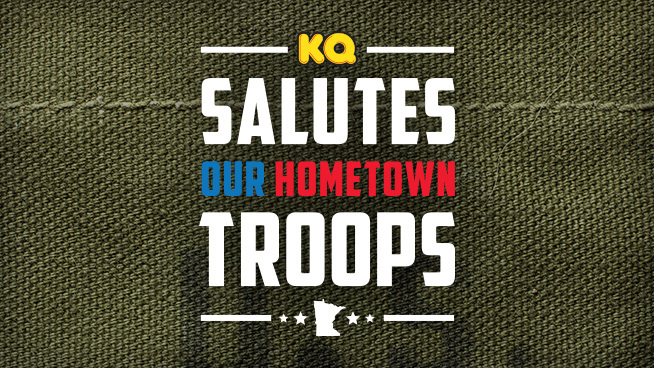 This Veterans Day we’re turning over our radio station to the brave men and women who’ve served our country! 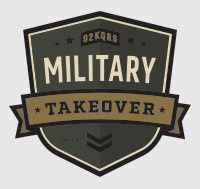 November 11th will mark the 2nd Annual 92 KQRS Military Takeover where Vets take over KQ as honorary guest DJs! This is our little way of honoring and recognizing the courageous service all Military Veterans have made to our country. Austin Miller is currently serving our country supporting Army Aviation, stationed in South Korea. Austin’s Mom, Renee wanted us to recognize his service to our country as Austin, his wife and daughter will spend their first holiday season away from home. Captain Kyle Ellington, is a member of the US Air Force. He’s been stationed at Quantanamo Bay, Cuba and Afghanistan. He’s currently stationed at Offutt Air Force Base in Omaha, Nebraska, headquarters of the Strategic Command. His parents are Tony and Shirley Ellingson residing in Maple Grove, MN. Dale Anderson writes, I would like to recognize my daughter Shawna Anderson from Oakdale, MN who just turned 19. She’s stationed at Ft. Gordon in Georgia finishing her training. Thanks again KQ, from a very proud father, signed Dale Anderson. We have a shout out to Riley Forlund stationed in Europe, and Tristan Pfaff just back from Croatia. Riley and Tristan are from Princeton, Minnesota. Kathleen Zusan from St. Paul wanted to honor her nephew, Brandon Collum, USMC, based in San Diego, Ca. Brandon hails from Hugo, MN. Thank you for your service Brandon and hurry home soon. Dan My-row emailed to recognize his son Jake, currently serving on the U.S.S. George Washington, returning from Japan to Norfolk, Virginia via Australia, Hawaii, and several South American stops. Jake is from Deerwood and now resides in Hastings.